This one-week workshop in Cereal Genomics will enable participants to take advantage of emerging genetic tools and the completed cereal genome sequences of most of the major cereal crops. The workshop will feature morning and evening lectures with afternoon lab exercises, including hands-on lab work and computer sessions in comparative anatomy, GWAS, Next Gen expression analysis, whole genome sequencing assembly, emerging model systems, genome editing and phenomics. The faculty (instructors and invited lecturers) are active researchers in cereal genetics and genomics who have made significant contributions to the field, ensuring that the latest techniques and ideas will be presented. The course will be structured to provide time for informal discussions and exchange with instructors. Students from academic institutions are eligible to apply for partial scholarships. 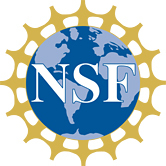 Major support provided by: National Science Foundation. Students accepted into the workshop should plan to arrive in the late afternoon of Monday October 14 and depart at lunchtime on Monday October 21.